Earn $50 per sale instantly for each qualified new customers you refer! You no longer have to wait months to build a worthwhile percentage. We call this our One-Time Pay Per Signup (PPS) Program and it is available to select affiliates upon our approval. 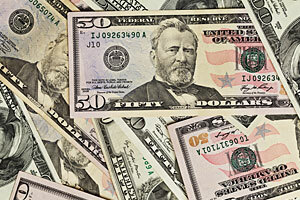 This payout offers a flat $50 one-time payout for every qualified customer. When you refer a customer that creates an account, they become a "Free" Member that has access to our free chat and free promotional credits. Free signups will not qualify for a PPS payout until they make a purchase greater than $1.00; if you are interested in our payout for free sign-ups, please see our PPL offer. If you are interested in the PPS option, new affiliates can request it on the sign up form. If you have already have an affiliate account, you must request approval from your account representative or send an email to sales@flirt4free.com with the subject "PPS Request." You shall not be entitled to any commission or referral fee of any kind from Company for any subscription that Company determines is the result of possible fraudulent activity. Any fraudulent activity resulting in a chargeback or refund will be deducted. Please see our Terms & Conditions for more details.